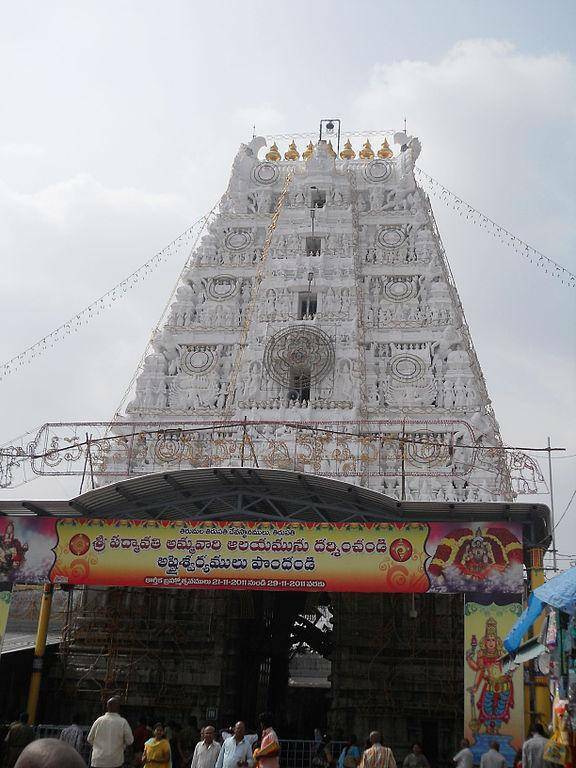 Sri Padmavathi Ammavari Temple, the consort of Sri Venkateshwara Swamy emerged from a lotus on a pond. She was then adopted by a King who ruled the area surrounding Tirupathi. Ammavaru had fallen in love with Srinivasa (another term for Lord Venkateshwara Swamy), a sage and married him. Sri Padmavathi Ammavaru is also termed as Alamelumanga and so the place the temple located is called as “Alamelumangapuram” or “Tiruchanoor”. Devotees before climbing up the hill to worship Lord Venkateshwara, has to worship Ammavaru in Tiruchanoor first and it is an important ritual to be done before worshipping Lord Srinivasa. There are many legends and mythology regarding the birth of Padmavathi Ammavaru. Being insulted, when Bhrigu Sage kicked the chest (residing place of Sri Lakshmi Devi) of Lord Vishnu, Lakshmi Devi came down to earth and immersed in penance in the Lotus pond (Pushkarini) for 12 years and in 13th year she came up as a child in a lotus and got adopted by a King. She was then named as “Padmavathi”. In this temple, Kalyanotsavam is conducted every day from 10:30 till 12:00 and five members can attend it when the ritual is booked in advance. Devotees believe that all peace, happiness, prosperity etc can be attained by worshipping Sri Padmavathi Ammavaru.